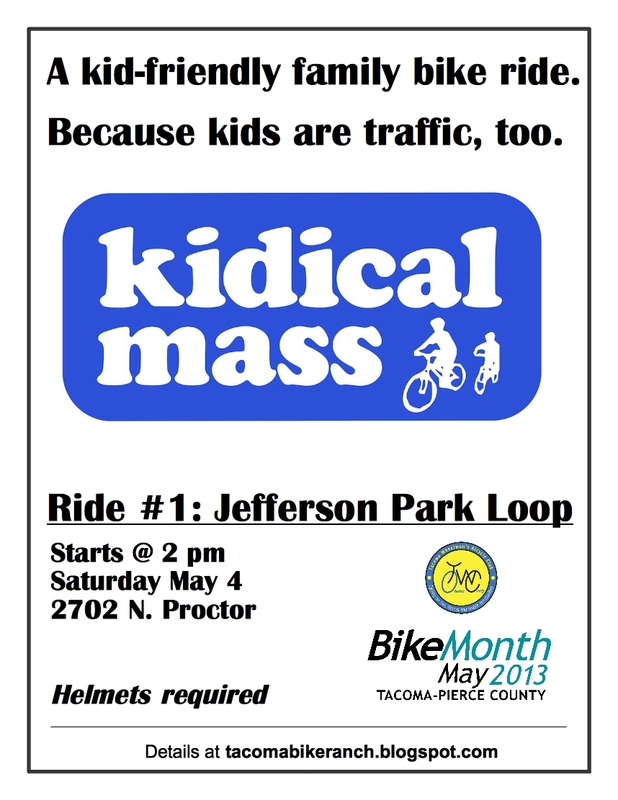 Here are the details for our first Kidical Mass Tacoma ride. The route is simple, flat, and relatively safe. It's a 2.7 mile loop with a stop at Jefferson Park in the middle. We will have volunteers to help stop traffic when we cross N 21st and N 26th Streets. We'll have some cool swag from the City of Tacoma for the kids before hand and some snacks afterward. The Proctor Farmers Market is that morning, so feel free to come a bit earlier for the market and stay for the ride. Many thanks to the Tacoma Wheelmen's Bicycle Club for sponsoring this event! Hey Matt, What a great idea! See you there.